The 350th anniversary of Rembrandt’s birth falls this year and the Rijksmuseum in Amsterdam will mark it with a series of exhibitions and special events. 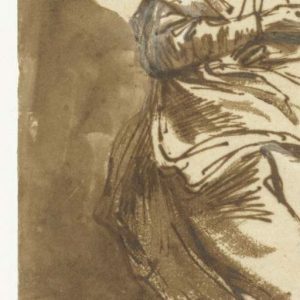 Celebrations kick off on February 15 when the museum will present for the first time an exhibition of all 22 paintings, 60 drawings and more than 300 of the finest examples of Rembrandt’s prints in its collection. In July the public are invited to watch as the restoration of The Night Watch gets underway in a clear glass chamber designed by French architect Michel Wilmotte. 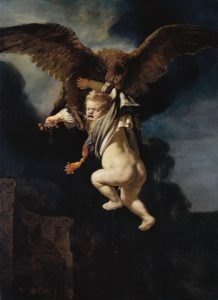 A Rembrandt- Velazquez exhibition later in the year will showcase paintings by the two great masters of the 17th century. 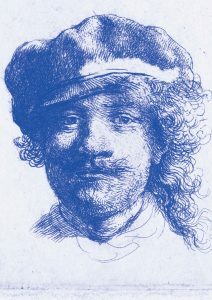 Rembrandt Self Portrait wearing a soft hat (1632-36). Rembrandt’s masterpiece The Night Watch is to be restored in public at the Rijksmuseum in Amsterdam beginning in July 2019. The 1642 work will be restored in a painstaking process likely to take years, and all on public display. The varnish on the painting has darkened over the years, dimming the original colours. Here is a video about the the project from the Rijksmuseum. 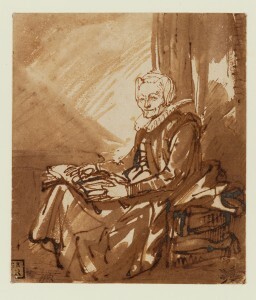 The Rijksmuseum is celebrating Rembrandt’s anniversary today with the online publication Drawings by Rembrandt. Born on July 15, 1606 he is regarded as one of the greatest artists in the history of art. 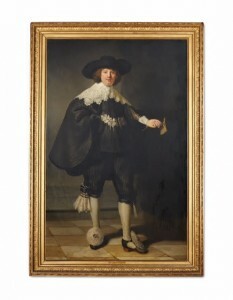 The Rijksmuseum has the most important collection paintings, drawings and prints by Rembrandt in the world. 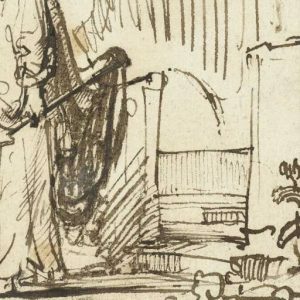 All drawings by Rembrandt from the Rijksmuseum collection in Amsterdam will now be available to everyone in high resolution. This is accompanied with the most up to date knowledge by Rembrandt specialist Peter Schatborn and Head of the Rijksmuseum Printroom Jane Turner. From now on, researchers, students and Rembrandt-lovers will gain new insights, knowledge and inspiration by the 64 landscapes, biblical scenes, portraits and everyday scenes of Rembrandt. 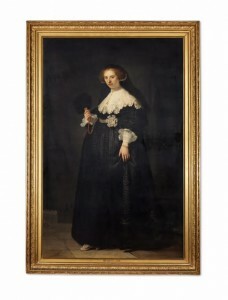 The first ever joint acquisition of two Rembrandt masterpieces by the French and Dutch states was facilitated through Christie’s private sale channel. 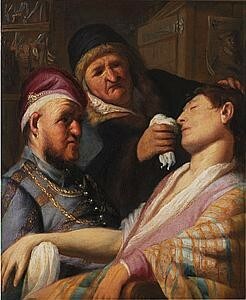 The acquisition cost the Louvre 80 million euro and is the largest ever made by a French museum. They were acquired from the French branch of the Rothschild family. The portraits of Maerten Soolmans and his wife Oopjen Coppit were executed a year after the couple’s wedding in 1634. They will always be shown together, alternately at the Louvre and the Rijksmuseum, but will be owned separately. 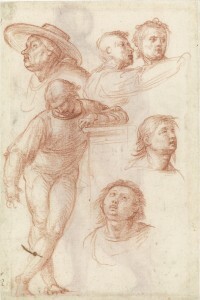 They will be exhibited publicly for the first time at the Louvre in a few weeks time. They will then be shipped to Holland for restoration. 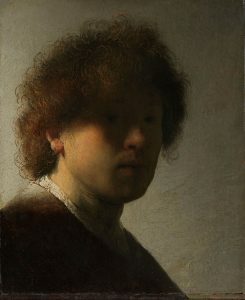 A magnificent late Rembrandt self portrait is on display at the Ulster Museum in Belfast until March 13 as part of the Masterpiece Tour organized by the National Gallery in London. Rembrandt (1606–1669) produced some 80 self-portraits – paintings, drawings and prints- over the course of his 40-year career. No artist before Rembrandt, and only a very few since, have made self-portraiture such a significant part of their life’s work. Self Portrait at the Age of 63, painted in the final year of the artist’s life, is among the very last works he finished. It is a work of sheer virtuosity: proof, if ever it were needed, that with maturity his talent had only become all the more profound. At the Ulster Museum the late Rembrandt is hung with a small group of seventeenth-century Dutch paintings from the Museum collection. These paintings are by artists whose work Rembrandt would have known, including Salomon van Ruysdael, Jan Symonsz Pynas, Jan van der Heyden and Nicolaes Maes. When viewed together there is sense of entering Rembrandt’s world. The Masterpiece Tour reflects the National Gallery’s commitment to promoting the understanding, study and appreciation of its collection to as wide an audience as possible. A Gallery painting toured each year between 2014 and 2016. 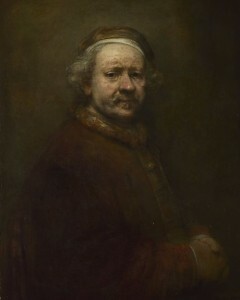 In 2016 Rembrandt’s Self Portrait at the Age of 63 opens at the Ulster Museum then goes to Abbot Hall Art Gallery, Kendal; and Bristol Museum & Art Gallery.